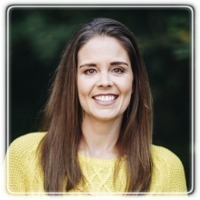 Raleigh Therapist: Lindsay Patterson - Therapist 27609.
change is valuable in this work and that clients can have both. My approach to therapy tends to be eclectic, pulling from a variety of theoretical frameworks. I work well with clients who have anxiety, depression, low self esteem, eating disorders, grief/loss, substance use disorders/addictions, and relationship issues. I strive to help each client find freedom from restlessness and discontent regardless from where these feelings may be stemming and thus, guide clients to finding more self-acceptance and peace in their lives. ·Grief/loss – Grief and loss can take on many forms and look different ways. We most often think of grief as the death of a loved one and while this is true, grief and loss can be much more common in our lives. We can experience it through break-ups, job loss/change, our children moving out, and other life transitions. ·Eating Disorders – Many individuals struggle with their relationship with food and can feel consumed and out of control in the process. If you face challenges of chronic dieting, have patterns of disordered eating, or think you may have an eating disorder, you deserve a safe space to talk openly with a therapist who is compassionate and who understands. ·Substance Use Disorders/Addiction - I have additional education in addiction counseling/treatment and my approach is warm, compassionate, and non-confrontational. If you think you have a substance use disorder or other addiction, my services may be of benefit to you. Outpatient therapy is often used in conjunction with other services such as 12-step meetings, intensive out-patient, etc. I welcome anyone who thinks they may have any form of addiction. ·Relationship Challenges – Relationship concerns can be a broad topic; some couples may want to strengthen their current relationship, work on a specific issue within the relationship, there may be sexual concerns, and others may have had a recent break up or divorce. Individually or with your partner, we can work together to help you get your needs met. Challenging relationships can also be with family, friends, and even coworkers and learning how to navigate these relationships effectively can be tricky and emotionally draining. If you find yourself feeling stuck in the same types of situations with people, feel unsatisfied with your interactions and relationships, we may be able to work together to find a solution. Evening and Saturday appointments available! Call or email for an appointment today.